Spring 2018 – CMI, our distributors in Belgium and Holland, exhibited our equipment, giving clients a chance to see the equipment in action. These highly precise, robust machines weigh tablets, capsules and soft gels at speed, enabling companies to control the quality of what they produce to ensure correct dosage is being taken by patients. On the stand the SADE SP140 was in full operation throughout the duration of the show. (Foreground) The SADE SP140 weight sorter, in action on the CMI stand, with the accept bin (left) and reject bin (right). Come and visit our stand at this vibrant exhibition – reputedly the most important in South Asia. On our stand A53 in Hall 6 we will have a weight sorting machine in operation, giving you the chance to see how versatile and valuable this equipment is to the pharmaceutical industry. Organised by CI Precision’s agent in Poland MMR, this was an opportunity to meet important companies in the pharma industry and to showcase CI Precision’s products in a presentation. This was the 13th annual conference to take place, in the heart of the Polish countryside at the Hotel Windsor, 25km outside Warsaw. It included a visit to the manufacturing plant of Anpharm, part of the Servier Group. MMR, CI Precision’s agent in Poland, had a stand at the event and Andrew Spence of CI gave a presentation to delegates. Andrew Spence (CI Precision) and Zbigniew Majblat (MMR). (Below) Zbigniew (MMR) with visitors to the stand. CI Precision will have a SADE SP140 on the IMCO stand at Expoquimia from 2-6th October. 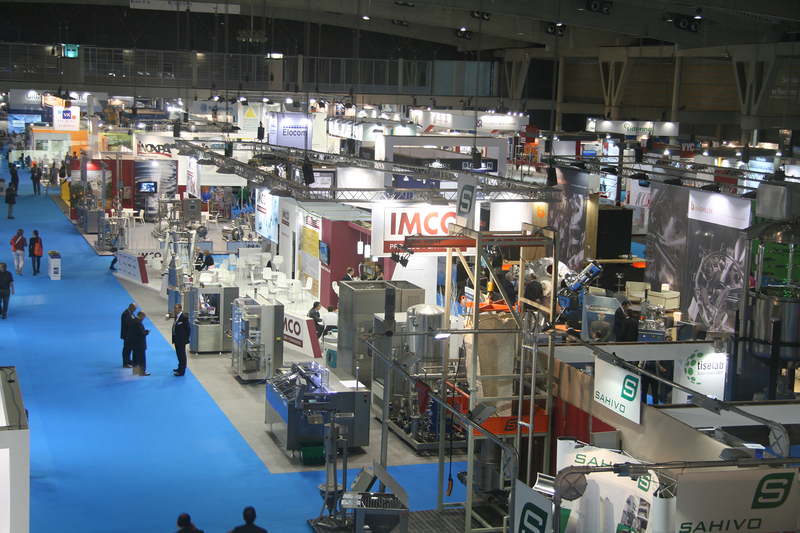 IMCO represent CI in Spain for weight sorting equipment and we are very pleased to be taking part at the show. 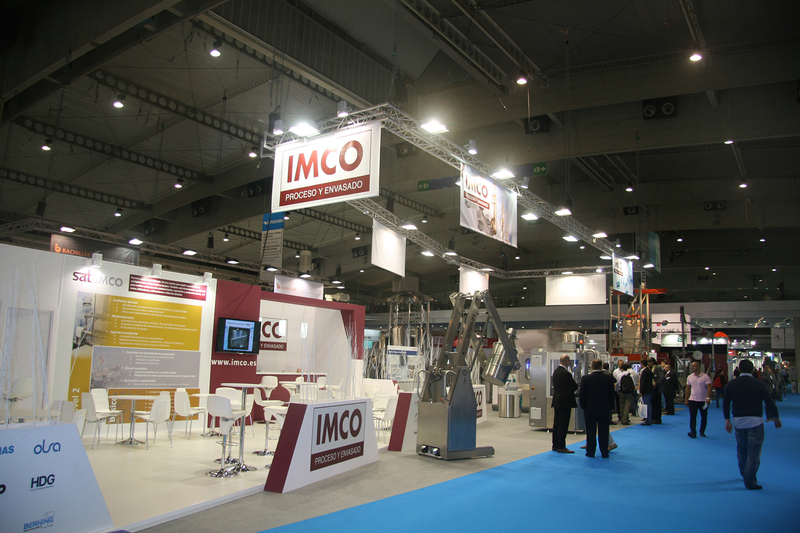 Join us on the IMCO stand at Expoqimia – STAND NUMBER E176 in HALL 2. Monday 2nd Oct to Thursday 5th Oct from 9.30 a.m. to 6.30 p.m.
Friday 6th Oct from 9.30 a.m. to 3 p.m.
On the stand – Kunal (PTE), Andrew (CI Precision), Prashant (PTE – Director), Manojav (PTE), Ojas (PTE). Some of India’s top companies visited the PTE stand representing CI Precision, in Hyderabad in August 2017. Over 200 exhibitors were visited by an estimated 4000+ visitors. The rainy season made the temperatures pleasant and it was a good atmosphere to do business. India’s pharma market is continuing to boom, reaching over 50bn US$ by 2020 – bearing in mind it was about 6 bn US$ in 2005, this is an amazing achievement. There were some interesting conferences including the state of the market and the need for Validation given by senior executives from Dr. Reddy’s and Aztec Consulting among others. The show was particularly busy on the second day. Here are some pictures of the show and the stand and downtown Hyderabad. (Below) The SADE SP-B40 sorts both tablets and capsules and there is no need for change parts. The unit is portable, ideal for labs or as part of in process control in production. Holimex have many decades experience in Hungary and have already contributed to CI Precision’s business with a sale in their territory of a weight sorting machine. Andrew Spence, CI’s head of this region, recently visited them and a number of initiatives were agreed for the coming months. Hungary has a low corporation tax of 9% which has encouraged foreign investment in both Pharma and other fields. Peter Rudolf (Holimex, left), Andrew Spence (centre) and Jorrit Aafjes (right, MD of Vekamaf, owning company of Holimex). Below – Budapest on the Danube, not only Hungary’s main business centre but also one of the top cities in Europe for culture and beauty. Visit of Biomation, CI Precision’s agent in Germany, to our head office. “A great year for sales of CI SADE Weight Sorting equipment in Germany” says Moritz Schlotterbeck (left) talking to Will Eaden, head of the German region for CI Precision. The industry’s continued drive for quality and demands made on CMOs, plus growth in R and D have led to a record year of sales at CI Precision. Vekamaf in Bratislava were appointed in May as our new agents for the Czech Republic and Slovakia. With a combined population of 15m, the region has many of the world’s top pharmaceutical companies represented here. CI Precision have already sold a SADE SP 240 to Teva in the Czech Republic. Below – Tomas Vich and Milan Vich of Vekamaf, Bratislava. Below – image of Bratislava. Data Tight are a group of consultants from the pharmaceutical world (and other industry backgrounds) who visited CI to present their company. They are helping companies to conform to the new GDPR*, which is a requirement by May 2018. Brexit may affect how this is introduced but the UK will have their own regulation in due course. Over 2 billion ID records have been stolen over the past decade – a shocking statistic. It is vital to protect your company’s future and introduce safeguards. Fines of up to 4% of sales turnover are possible to companies that do not comply. Data Tight have fast track programmes available to help with the introduction of best practises.